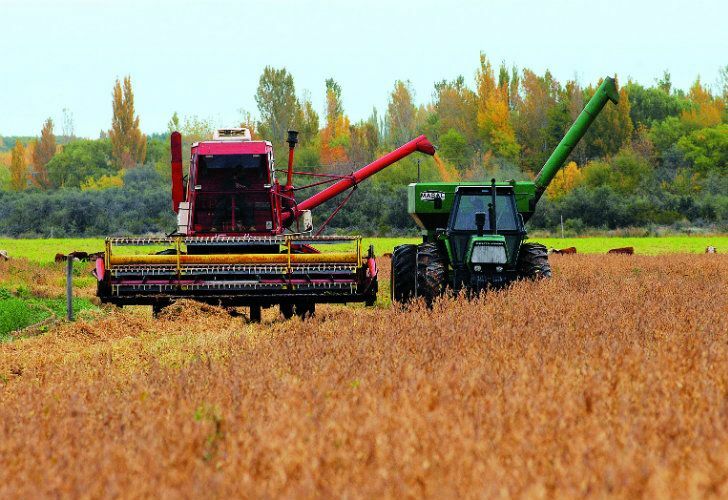 With the growth of the soybean industry and the rise of the pools (large, technically advanced firms leasing land from local farmers), the landscape of the Argentine countryside has changed. So who are the new powers of the Pampas? A wealthy landowner ventures across the Pampa on horseback with his sombrero and a finely combed moustache. He stumbles across a dauntless worker cultivating the land that makes him money. When we speak about the “owners of the Argentine Pampas,” it is easy to remember those graphic scenes from 19th-century history, imaginging that the descendants of those oligarchies – whose stories once fed the myth of Argentina as the “granary of the world” – are still exploiting the fertile soils of our humid plains. These families — such as the Braun Peña, the Anchorena or the Blanco Villegas families (the material family of President Mauricio Macri)— do still exist and they own great expanses of land. 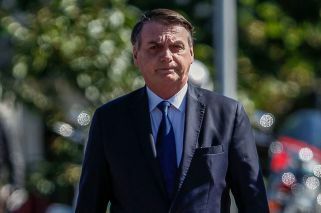 But they are no longer the owners of the majority of the Pampas. Argentina has 266 million cultivable hectares of rural land for crops and cattle, of which 50 million consists of the Pampas Region. So who are the owners of these lands? How do they profit from them? And are there laws and regulations to control their tenures? The truth is it’s not easy to respond to these questions since there is no serious official data recording those aspects. According to the INDEC national statistics bureau, the 2008 Farming Census — which was recorded at the height of the Cristina Fernández de Kirchner administration’s standoff with farmers over export duties — “was completed imperfectly,” meaning “it was not possible to obtain national results that provide points of comparison with data from 1988 and 2002.” In this sense, the 2002 Census results are the most reliable but they are completely out of date. According to the National Rural Land Registry — the organisation responsible for implementing the Justice and Human Rights Ministry’s Land Law — 5.57 percent of Argentine land is owned by foreigners. In the Pampas, this percentage drops to 3.31 percent. The founding families of the 19th century no longer own large extensions of land, he clarifies. The images of farmer, whose income comes from his own land, is now a distant memory of the past. Not even the Rural Society, which historically united cattle-producing oligarchs around common values, manages the dynamics of national production. Today, power lies in the hands of soy producers and big companies such as Cargill, Bunge, Dreyfus, Aceitera General Deheza and Vicentin, whose activities account for Argentina’s entire production of soy oils and their byproducts, writes Gaspar Grieco. Saturday, January 19, 2019 11 nages the dynamics of national production. Today, the power lies in the hands of soy producers and big companies such as Cargill, Bunge, Dreyfus, Aceitera General Deheza and Vicentin, whose activities account for Argentina’s entire production of soy oils and their byproducts. Most form part of AAEPRESID, otherwise known as the Argentine Association of Direct Sowing Producers, which controls the purchase and exportation of all soy products in the country. Noemí Girbal Blacha, a CONICET investigator and professor at the National Univerisity of Quilmes, has published a study which reveals that in 1970 the total number of hectares of cultivated land in Argentina was 30,470 hectares, while in 2012 it had reached 18.9 million, with a yield some four times larger than in 1970. “The technological combination of transgenic seeds, glyphosate and direct sowing produced an increase in productivity per hectare, and the total land area for soy production grew, displacing other types of crops,” she explained. María Dossi, a researcher from the National University of San Martín and a specialist in the study of Argentina’s agricultural organisations, recalls how, in the 1990s, the country allowed the entry of transgenic soy via the arrival of Monsanto’s agrochemical product glyphosate. “The traditional agricultural structure then entered a period of crisis in which medium-sized landowners could no longer sustain their land and so they start to hand it over to leaseholders,” she explains. The clearest example of this form of lease-based and outsourced production is the Grobocopatel group, from the city of Carlos Casares. They are the owners of Los Grobo firm, which today has more than 120,000 hectares in production, despite actually owning very little land. The vast majority of these cultivated lands are for soy and wheat under the sowingpool model for small, medium and large farms. Others big companies also involved in such activities include Adreaoli SA, MSU and Cresud. “The Rural Society sees Grobocopatel as an outsider. Above all, because they have no land-owning history,” explains Dossi. “And that is how they created an empire.” Dossi argues, however, that being outsiders has assisted the Grobocopatel group. “On the other hand, Los Grobo are also operating in Brazil, Paraguay and Uruguay, and they have an innovative business vision while the Rural Society remains very traditional,” she says. For his part, Sili points to a new player, which emerged at around the same time as leaseholders, which he describes as “expanded family producers.” These are small capitalised producers who own their own hectares but have expanded by leasing other properties, on a local level, in nearby areas. “Big business had a negative impact on rural communities because they directed income toward Buenos Aires and overseas. In contrast, expanded family producers live in the town or in nearby small cities and buy local produce to contribute to local economic activity,” he explains. In order to control the dynamics of leasing – which the 2002 Census reported as accounting for 14 million hectares nationwide – Argentina has Law 13,246 or the “Lease and Rural Sharecropping Law” which was passed in 1948, more than 70 years ago. In his book, La problemática de la tierra en la Argentina (“The problem with land in Argentina”), Marcelo Sili describes how local producers’ livelihoods have been jeopardised by changes. Finally, Dossi explains the difficulties for national and provincial governments in seeking to regulate the practices of large businesses. “The Argentine government is very conditioned by these businesses because they generate national income which is much needed, especially in order to pay off debt. When businesses speculate with international commodity prices and do not liquidate their crops, it creates big problems. “They are the ones with the power and it is very difficult to control them with the current legislation we have,” he concludes.